Excerpt of "Josef Danner’s Art in Public Space / Always Pushing the Edge"
Josef Danner, as one of the boisterous protagonists of the “Neue Wilde” (Young wild ones) and with a background in German studies and philosophy, had from the start worked across mediums as painter and musician. At the end of the 1980s he saw the limitations for expressivity within painting; his work developed increasingly in a conceptual direction. 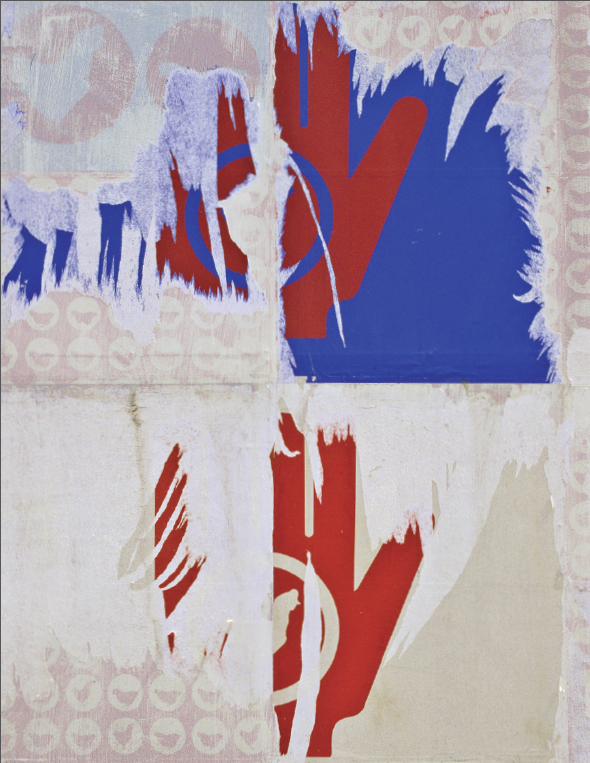 He began to work with symbolic systems in connection with text and to combine these in collages. Just as he had experimented intensively with color, he now experimented with textual graphic art. He used text elements—found objects—and allowed these to flow ever more strongly into his pictures. He was less concerned about the contradictions between words and images as, for example, Marcel Broodthaers had been; he rather subordinated the socially produced hierarchies and their representation in media to a critical reflection. For his poster works, Josef Danner cuts up texts and combines them into irritating, surreal textual images. He juxtaposes these with symbolic images, the meaning of which is not immediately clear when related to the texts. Using different means than the Fantastic Realists, he refers to the original form of Surrealism, which had been a purely literary movement and had in mind nothing short of revolutionizing life through poetry. Josef Danner appears to also be guided by this intention. At the same time, he points to the disruption of the present, which has lost the balance between the emotions and reason. He revolts against a restrictive art system, against the dictates of “painting skills,” and against the (morally) deficient value system of a society that fails to keep its eyes on the essentials, flooded by information and unconscious to the all-encompassing power of public media, which has long cashed in on the illusion of freedom that it claims to uphold.